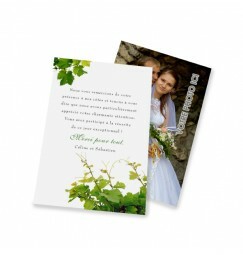 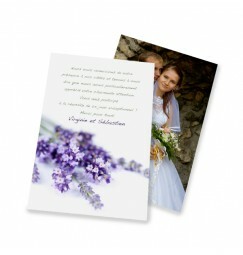 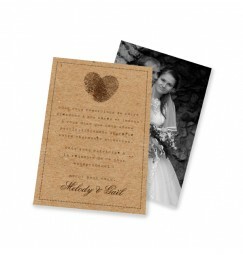 Invited to have a matching thank you card for each collection of wedding stationery. 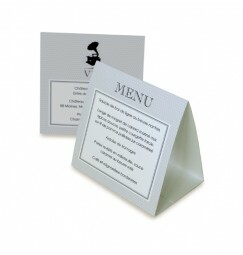 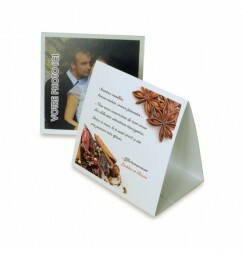 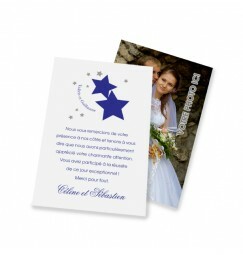 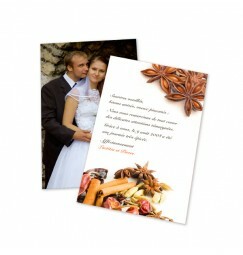 What better way to thank your guests and also leave them a little moment of that spacial day. 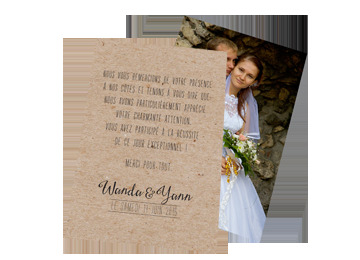 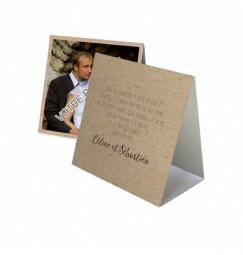 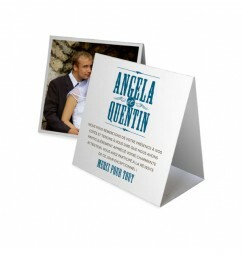 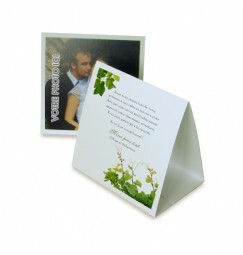 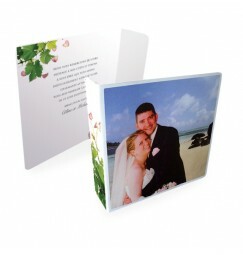 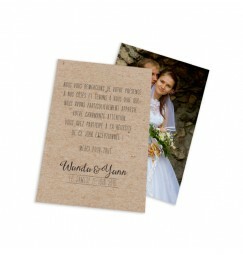 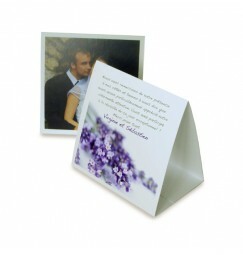 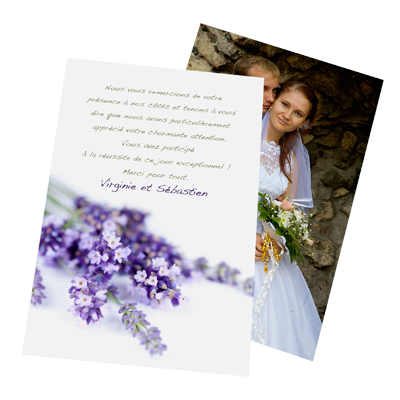 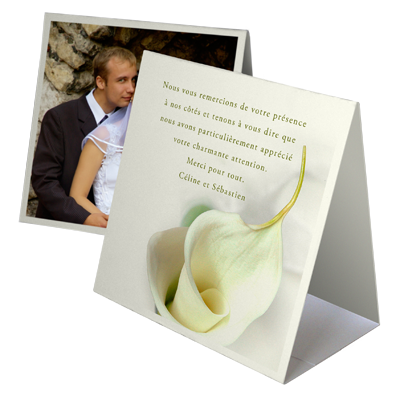 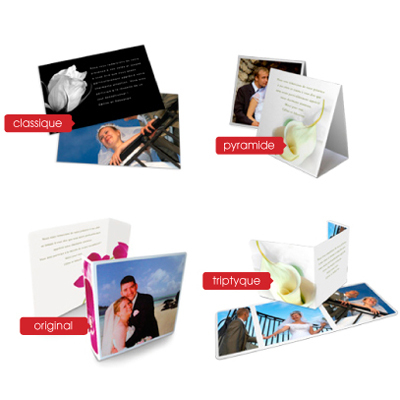 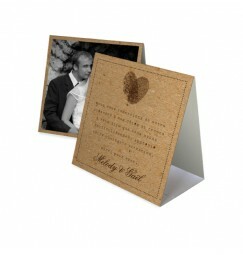 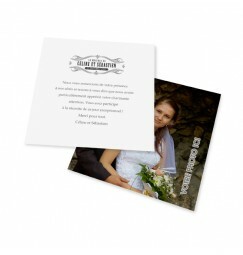 Each modele of thank you card is printed with your personalised text on one side and a a photo of your wedding day on the other. 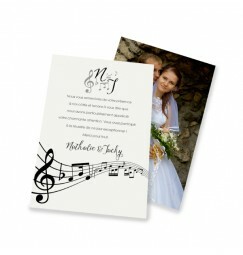 If you wish to leave the text off so you can note a little message by hand, this is also possible. 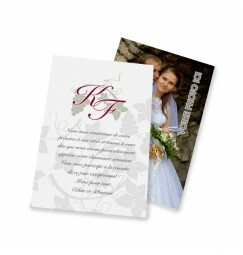 If you wish to see another format of card send us an email and we will put together a proof bassed on you ideas.